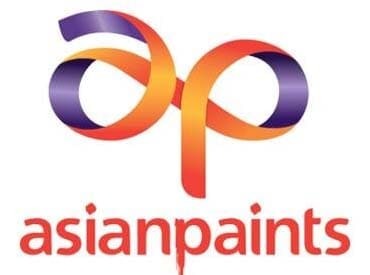 Asian Paints shares were up 2 per cent at Rs 1,489 in the intra-day trade on the National Stock Exchange (NSE) on the expectation of higher volume traction in decorative paints segment across categories. The stock was trading close to its all-time high level of Rs 1,491 hit on July 25, 2018, in intra-day deal. In the past five months, Asian Paints outpaced the market by surging 25 per cent, as compared to a 13 per cent rise in the S&P BSE Sensex. Thus far in the financial year 2018-19 (FY19), the stock has rallied 33 per cent against the 15 per cent rise in the benchmark index. The company had reported a stellar performance in the October-December quarter (Q3FY19), driven by around 20 per cent volume growth, which is the highest since FY11. Management seems reasonably confident in sustaining this momentum going forward, subject to uncertainties that the upcoming election (Q1FY20) could pose. Asian Paints volume growth over the last 10 years has been an average 11 per cent, which is one of the highest in consumer space. It also has a consistent price hike history with an average price hike of 4 per cent the in the last 7 years. Brokerage firm Reliance Securities re-initiates coverage on Asian Paints with a ‘BUY’ recommendation with a target price of Rs 1,550. Analysts expect Asian Paints to witness a 13 per cent volume growth in FY19E following solid traction in Q3FY19, which saw 24 per cent YoY revenue growth with the decorative segment registering around 20 per cent YoY volume growth. Though near-term headwind in the form of General Elections could pose some challenges, Asian Paints' long-term themes of unorganised to organised conversion and premiumisation continue to remain intact, it said. “Operating margin compression of 120bps in Q3FY19 was entirely gross-margin led, but considering the reverse move seen in crude-oil prices in recent months, we expect the margin pressure to definitely ease over coming quarters,” analysts at JM Financial said in company update. The brokerage firm has ‘BUY’ rating on the stock with a target price of Rs 1,540.